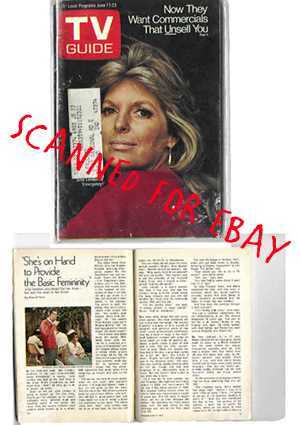 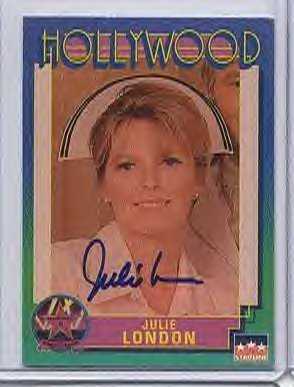 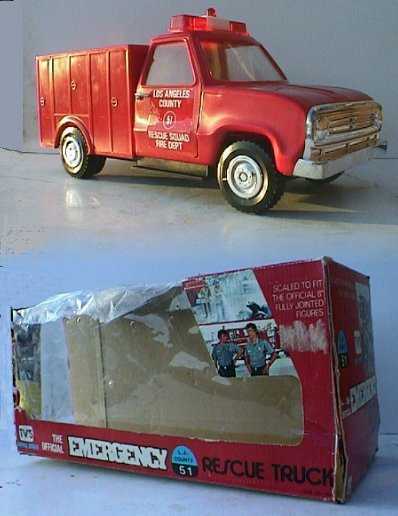 Tip: collectibles can often be found on Ebay. 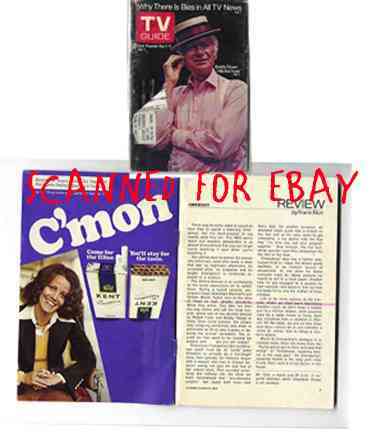 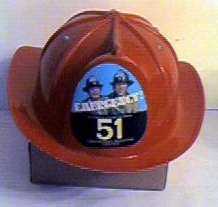 For items produced after the 1980s, please visit the merchandise page. 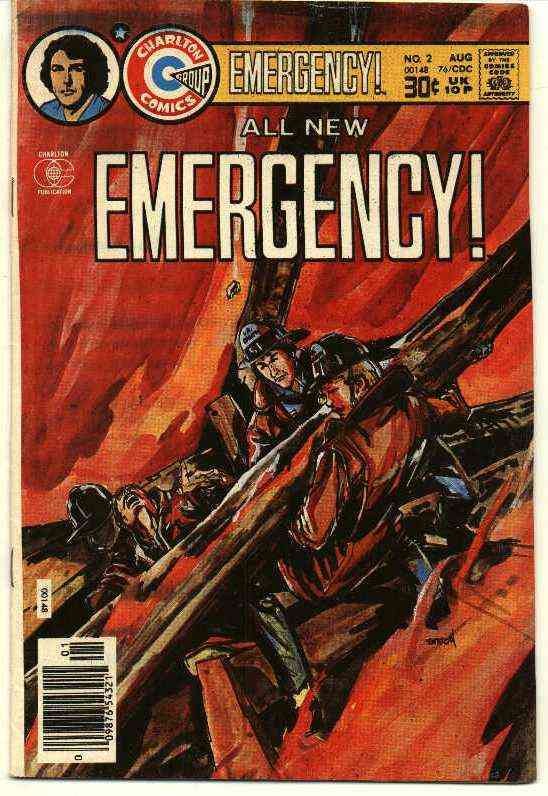 Do you know of a vintage E! 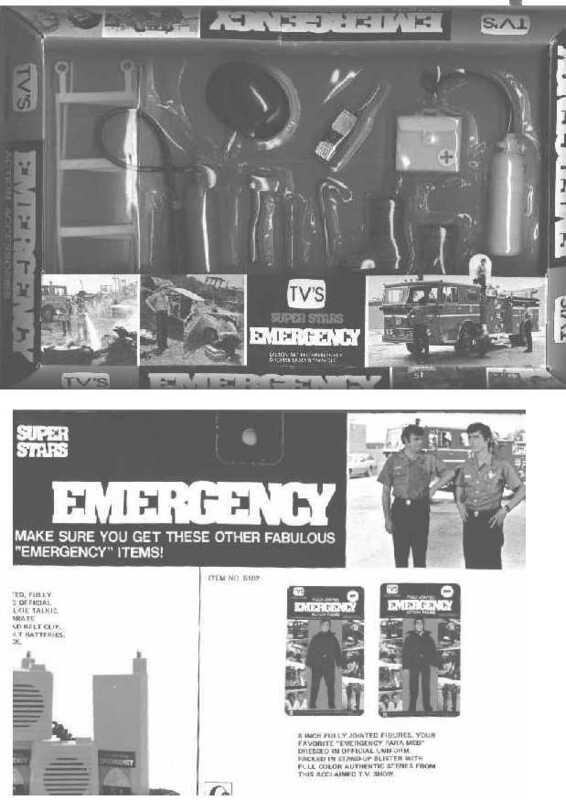 item, not listed here? 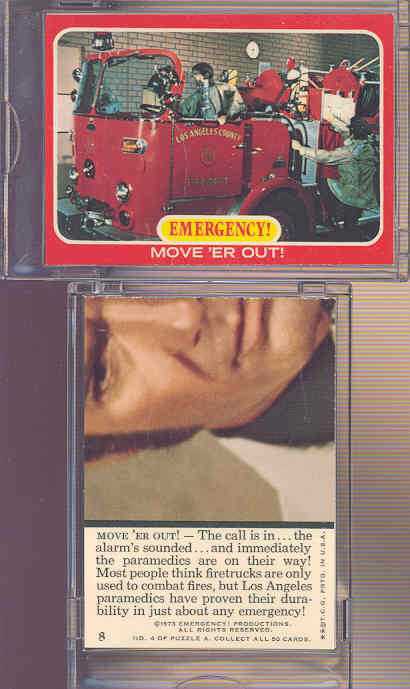 Please e-mail the webmaster! 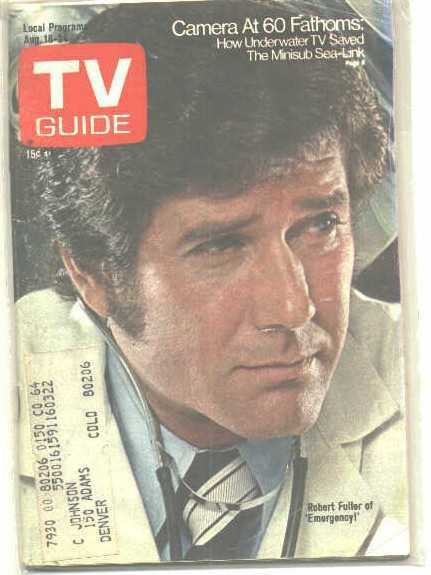 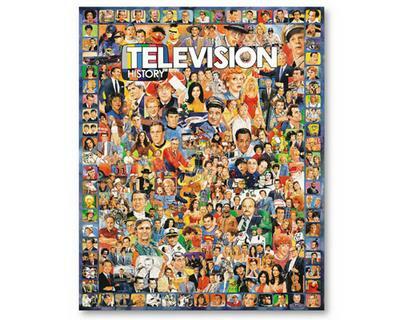 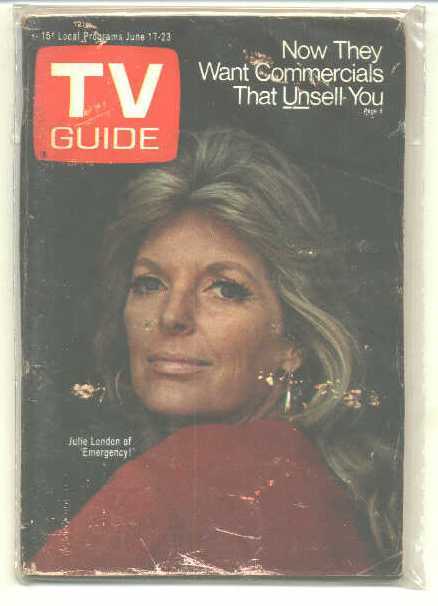 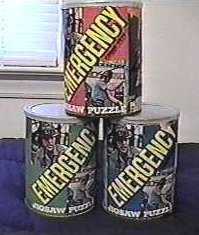 We'd like to thank Richard Yokley and other fans for their unceasing search for E! 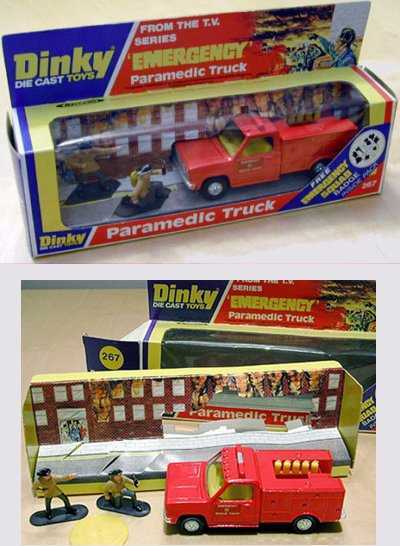 toys! 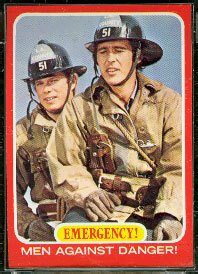 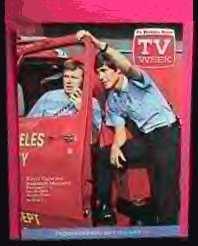 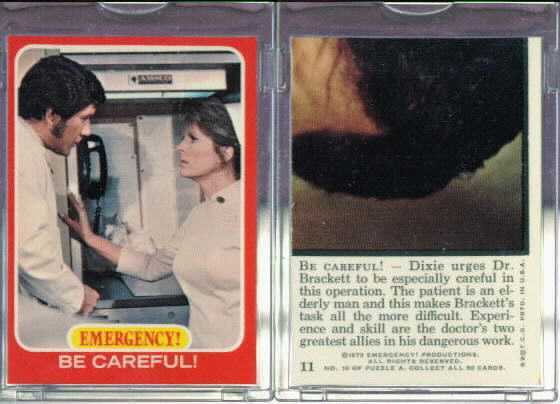 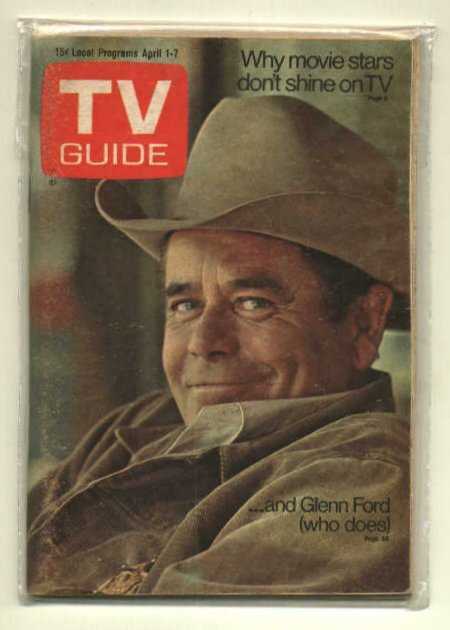 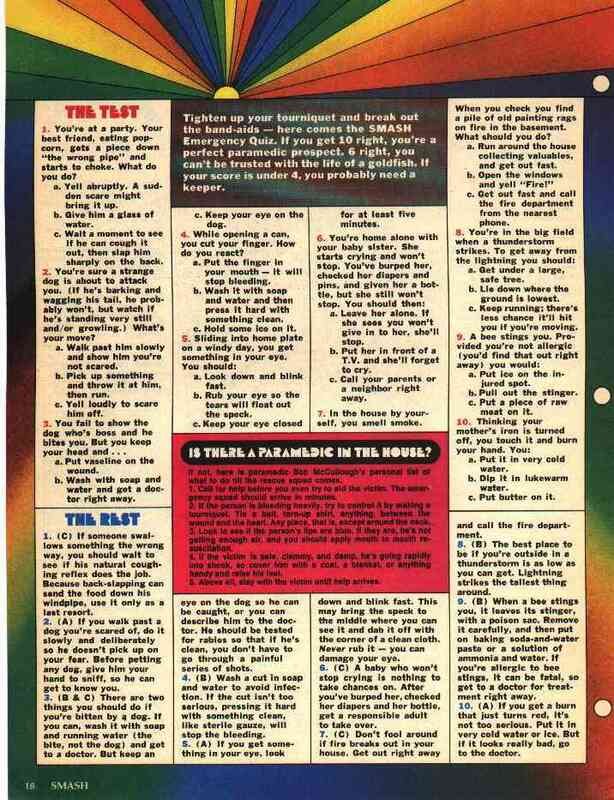 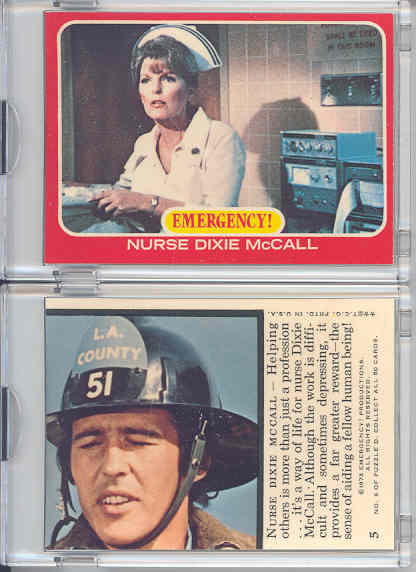 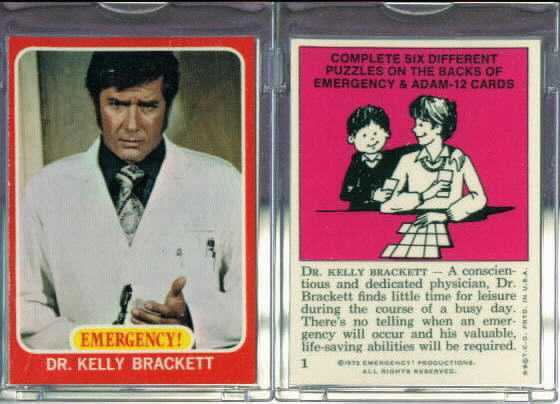 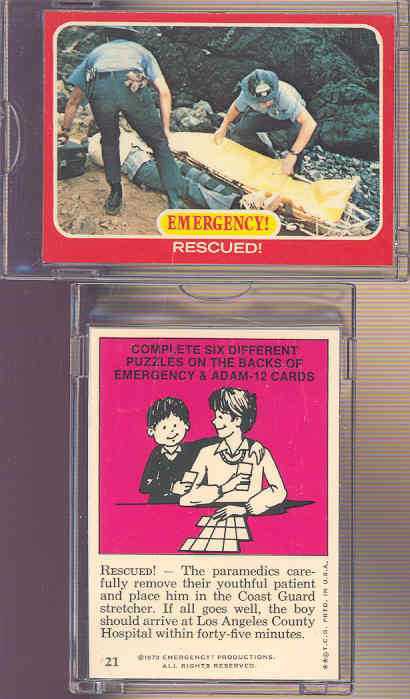 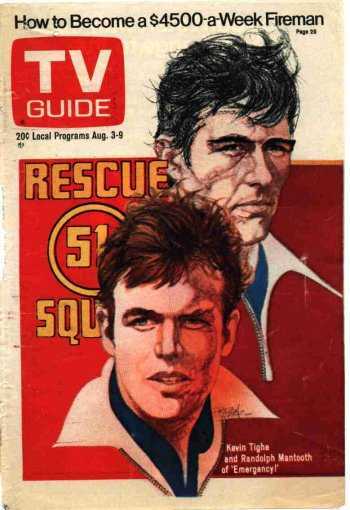 1973 Topps "Emergency-Adam 12" Test Issue Finish Card #27. 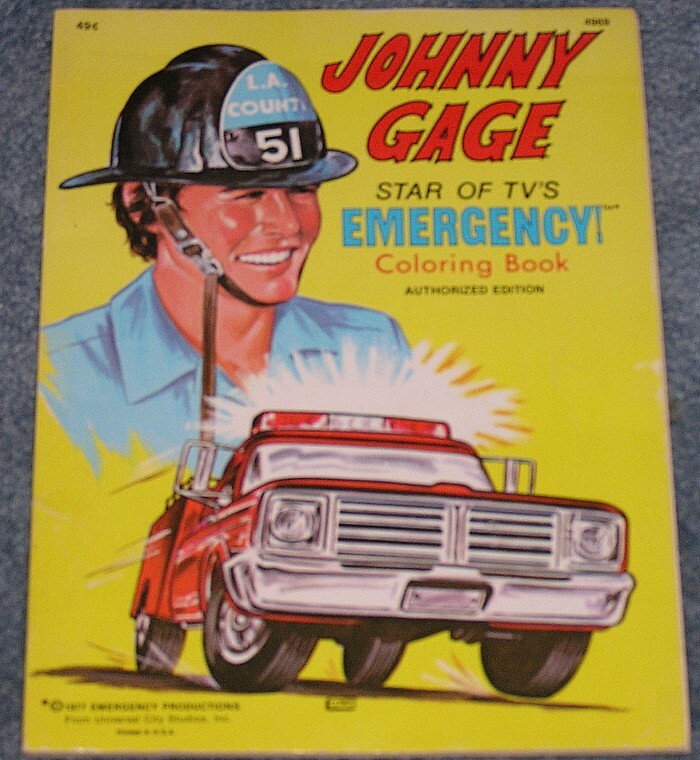 Card measures 2 1/2" x 3 1/2"
Thanks to John Zajac for the photo of the Johnny Gage coloring book below. 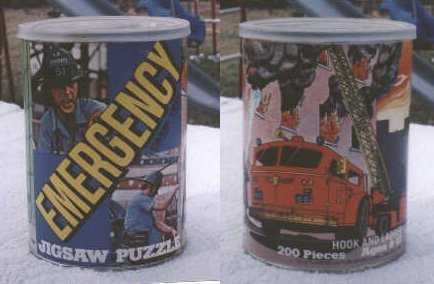 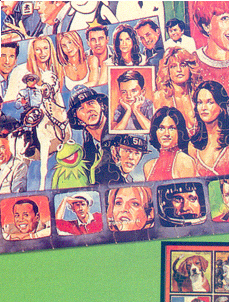 9-piece Frame Tray Puzzle featuring a color illustration of the main cast along with the "Los Angeles County Emergency Paramedic" shield. 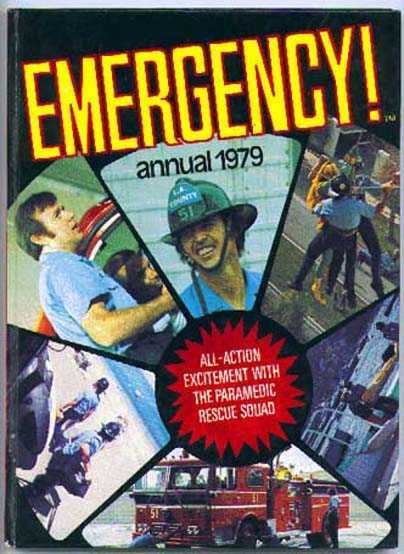 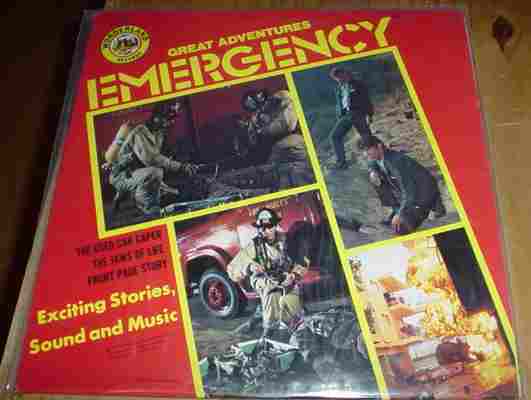 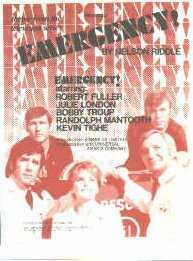 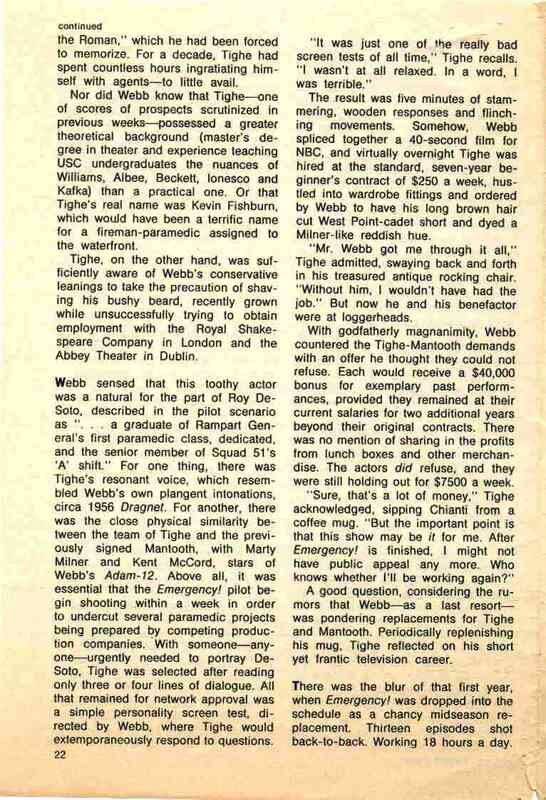 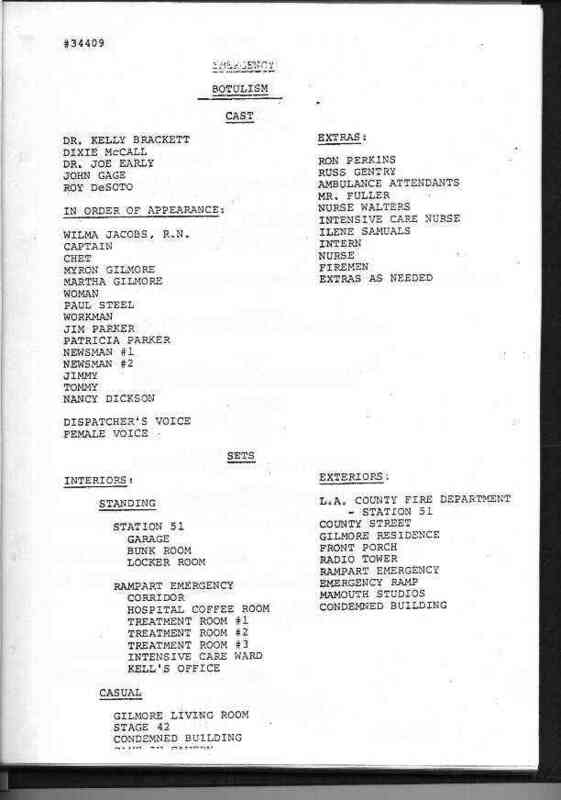 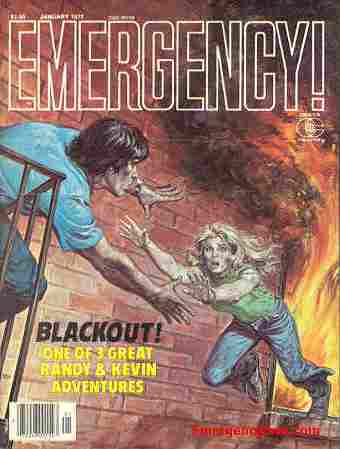 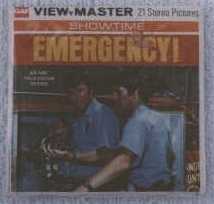 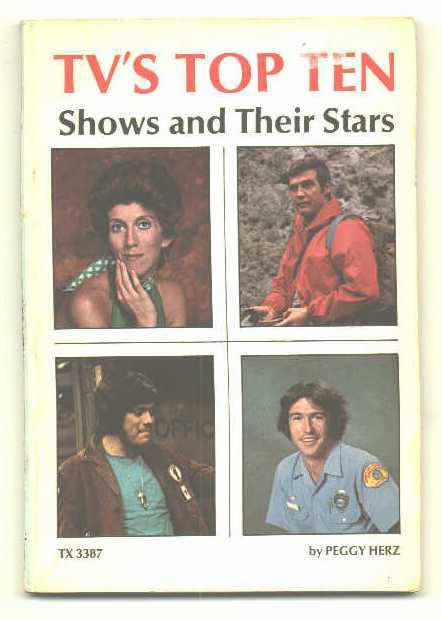 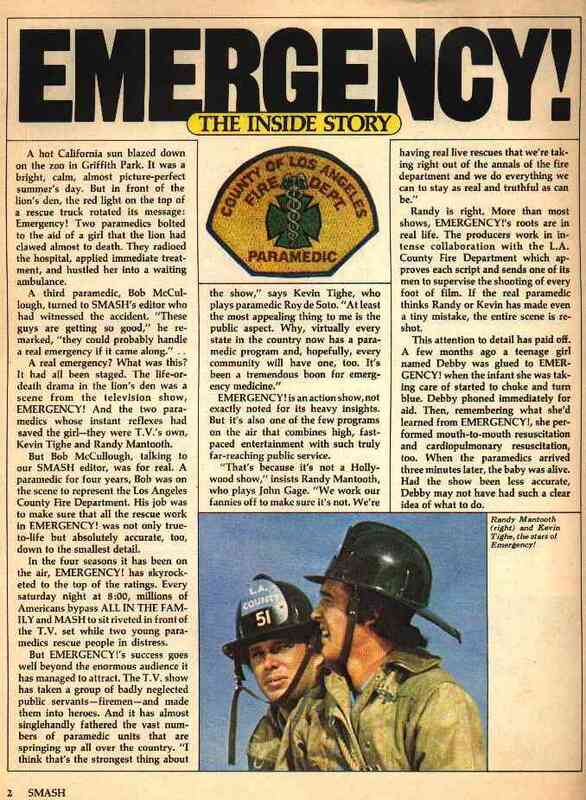 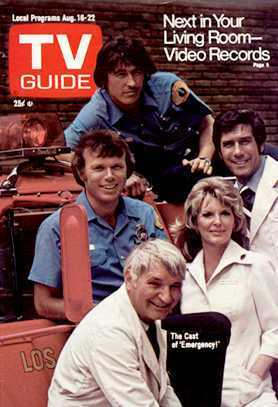 Marked "� 1977 Emergency Productions", No. 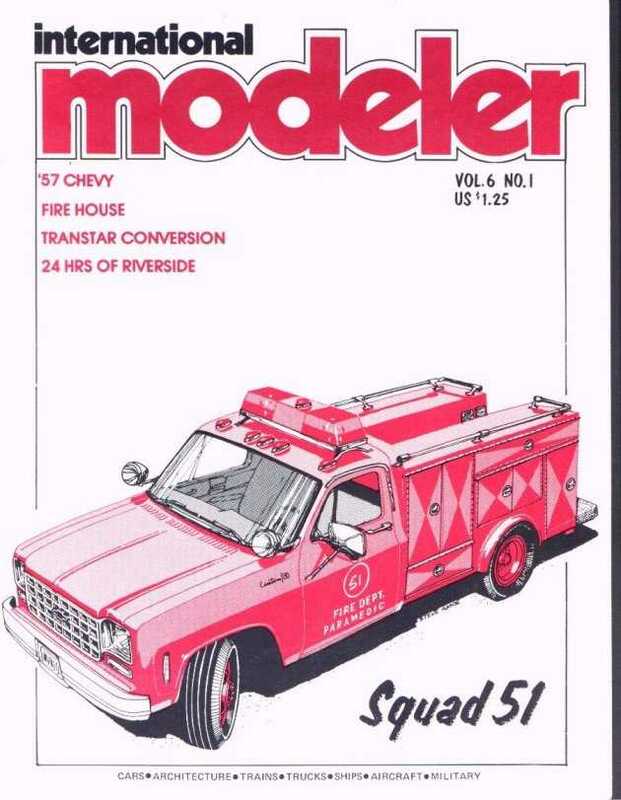 5400 P. Manufactured by Lowe. 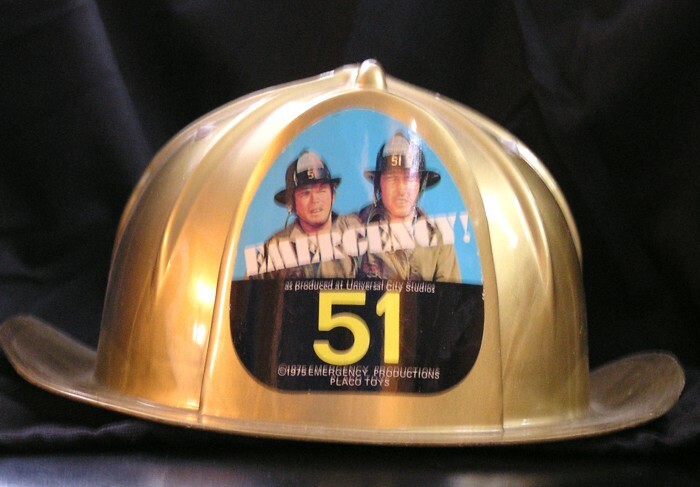 Thanks to John Zajac for the photo of the gold helmet above. 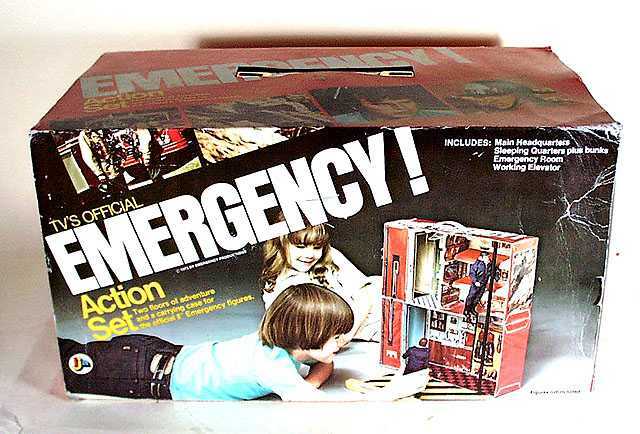 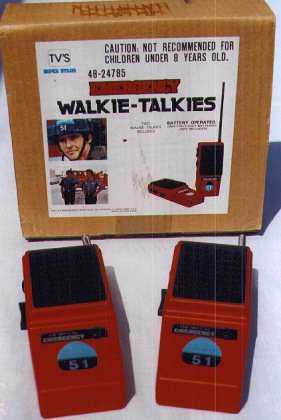 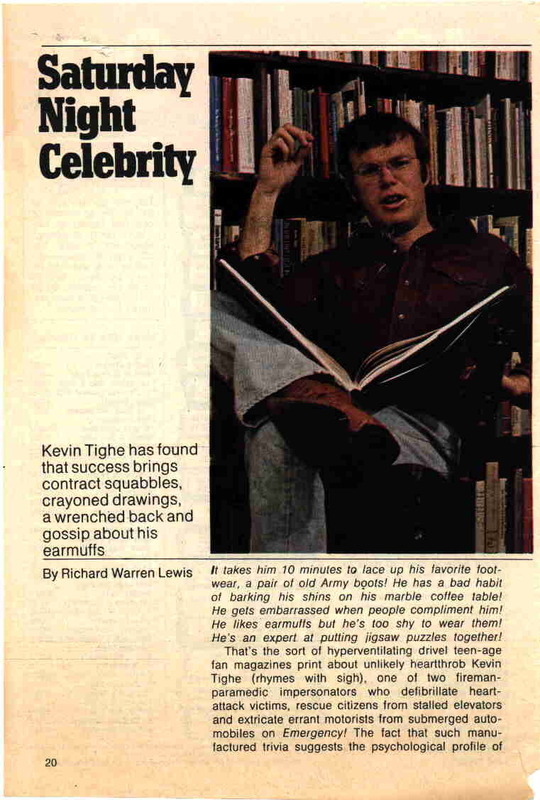 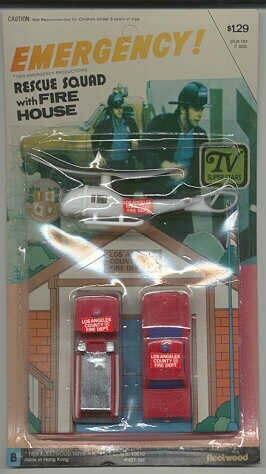 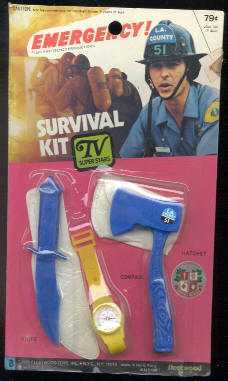 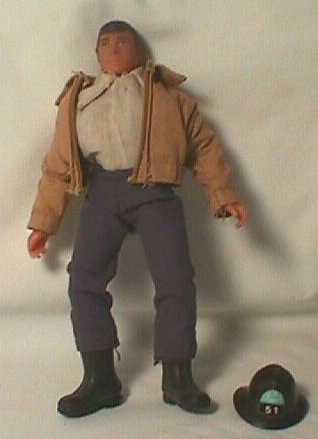 Issued in 1981 by Imperial toys. 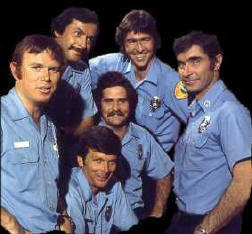 The Engine and Squad with different tampos. 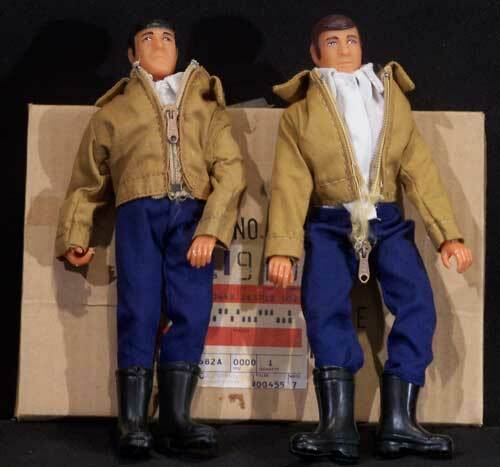 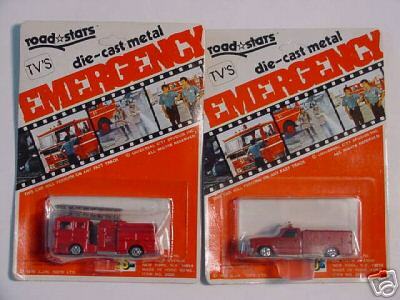 If they look familiar it is because the castings are the same used by LJN for the models released as '51' in 1975 in the Road*Stars series. 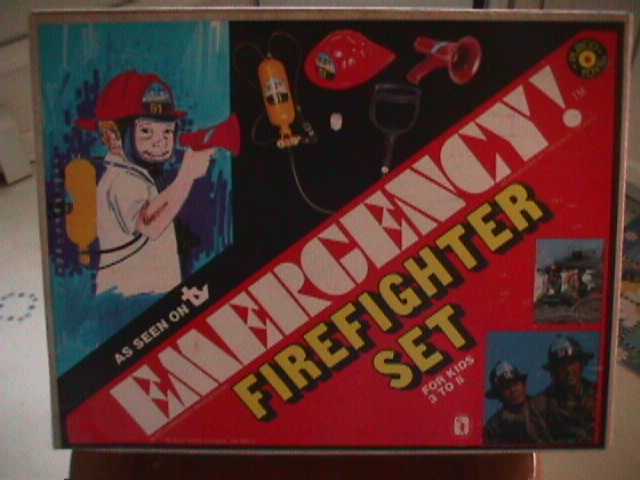 this box set released in 1981. 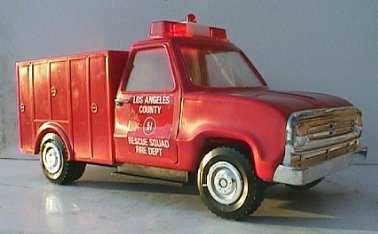 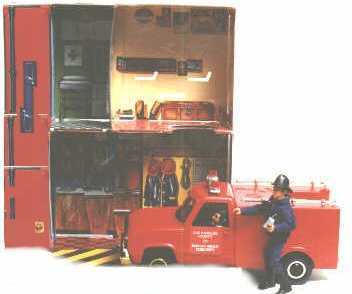 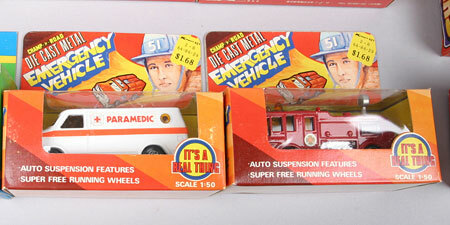 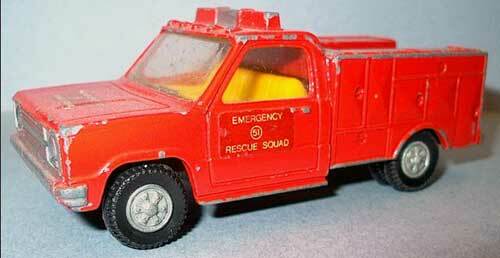 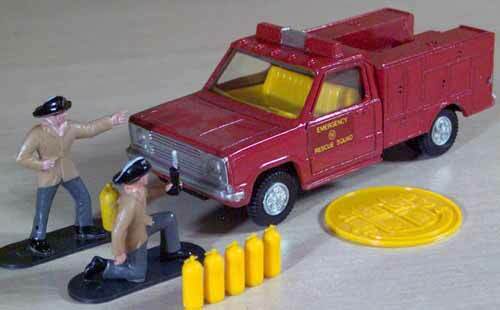 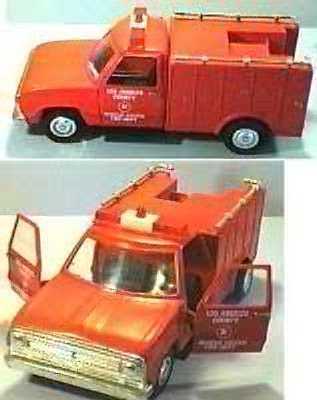 2 Die Cast Metal Champ of the Road Emergency Vehicles - Thanks Richard! 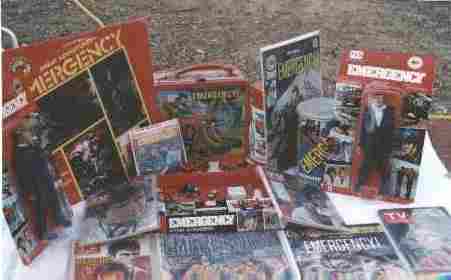 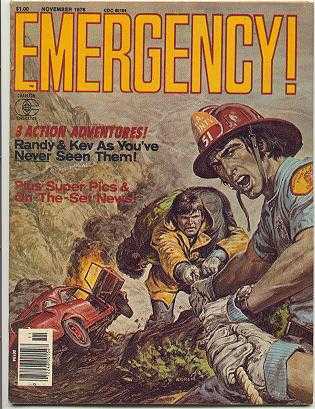 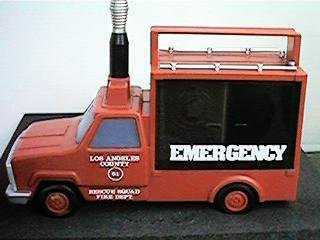 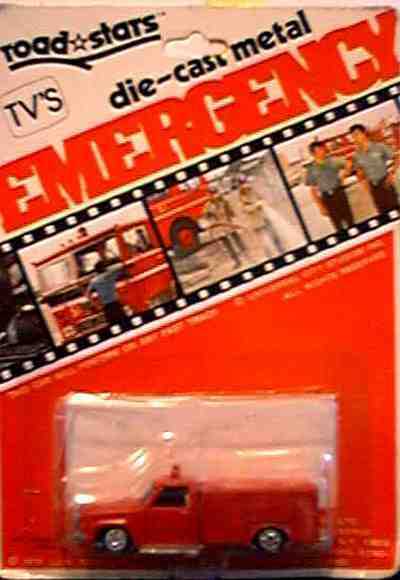 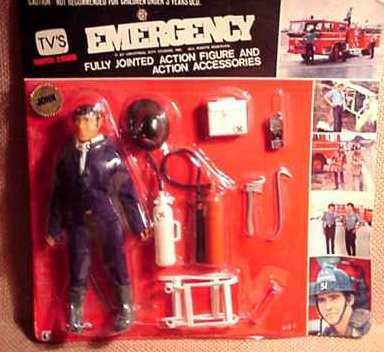 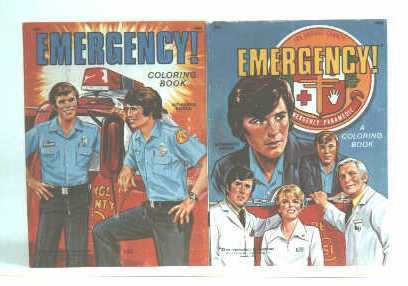 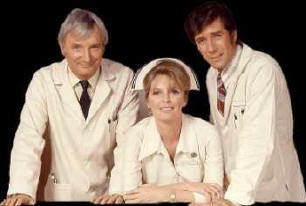 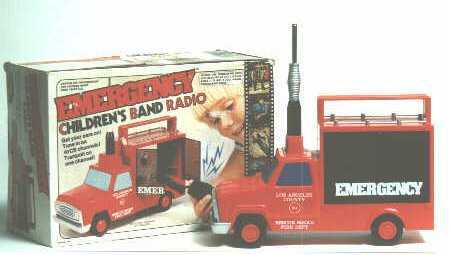 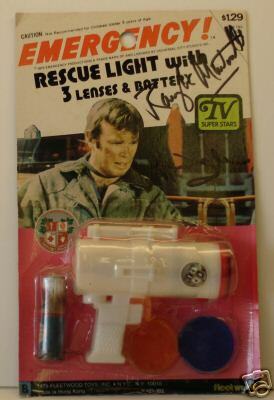 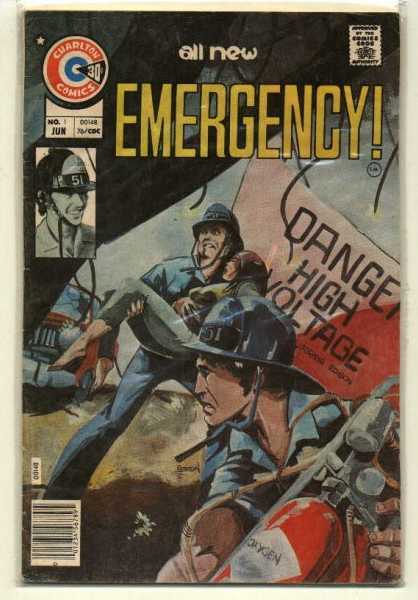 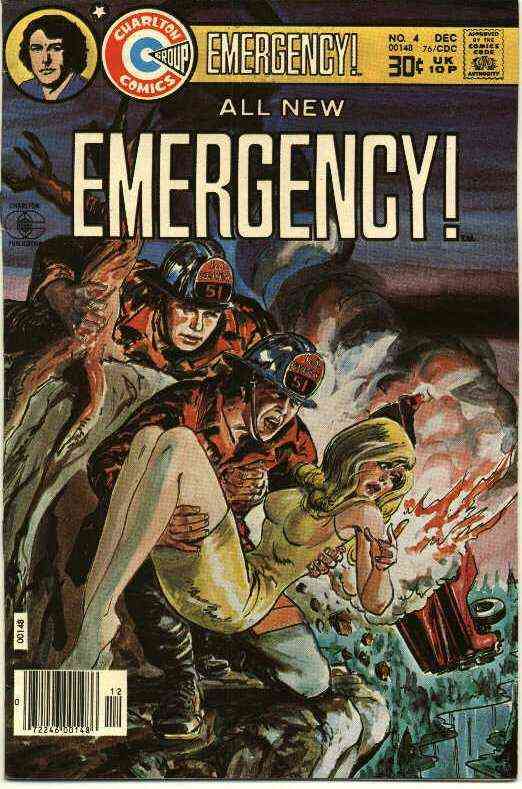 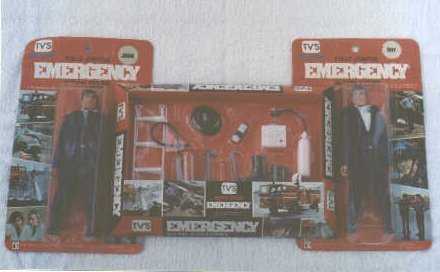 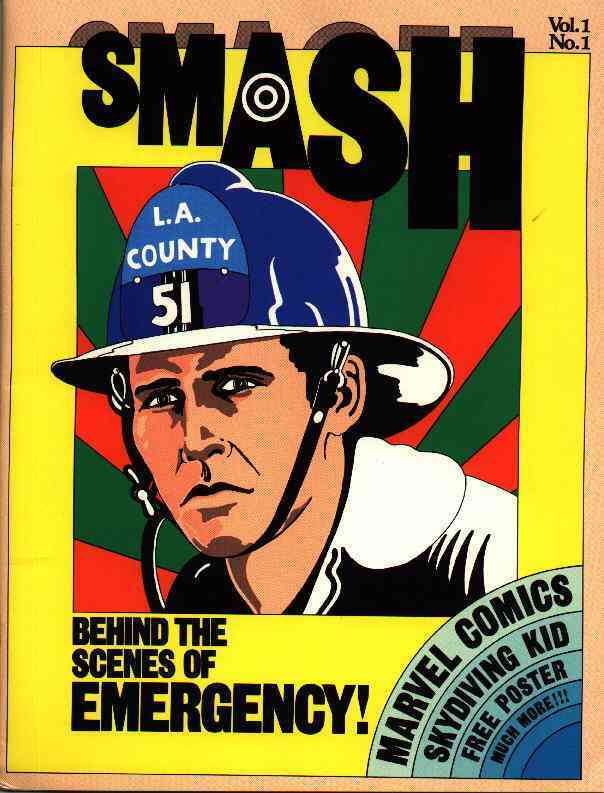 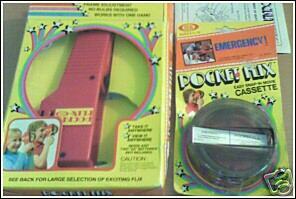 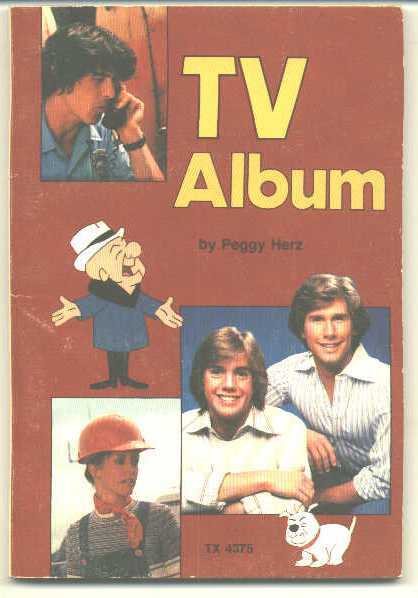 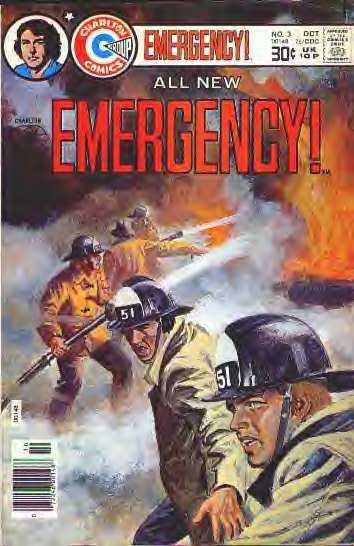 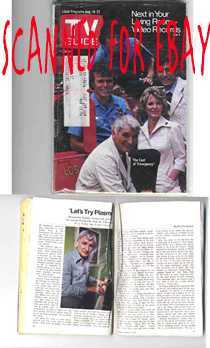 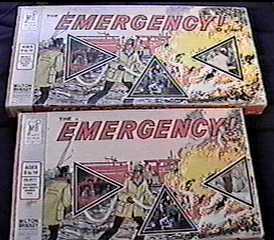 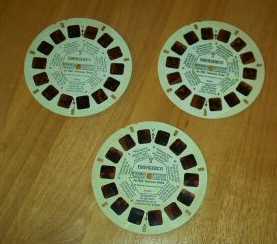 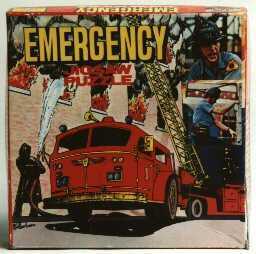 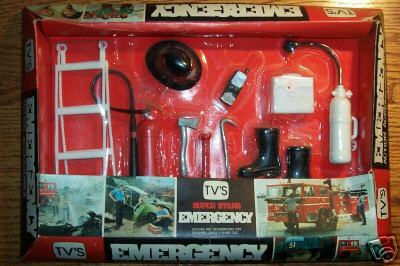 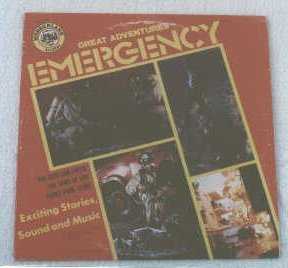 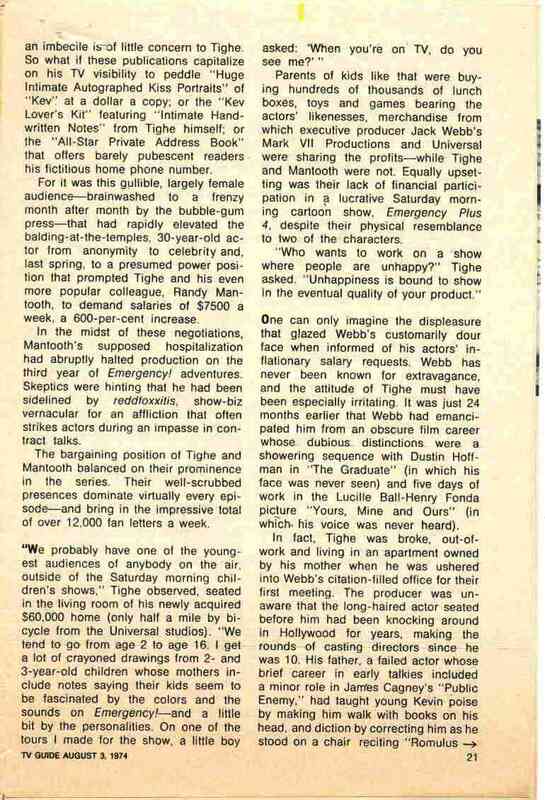 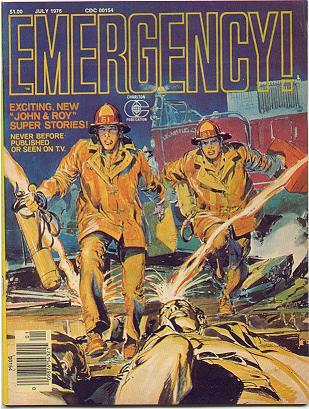 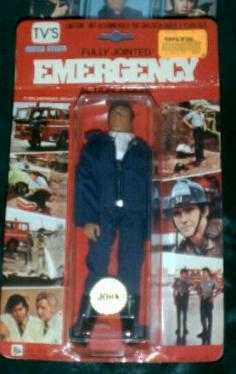 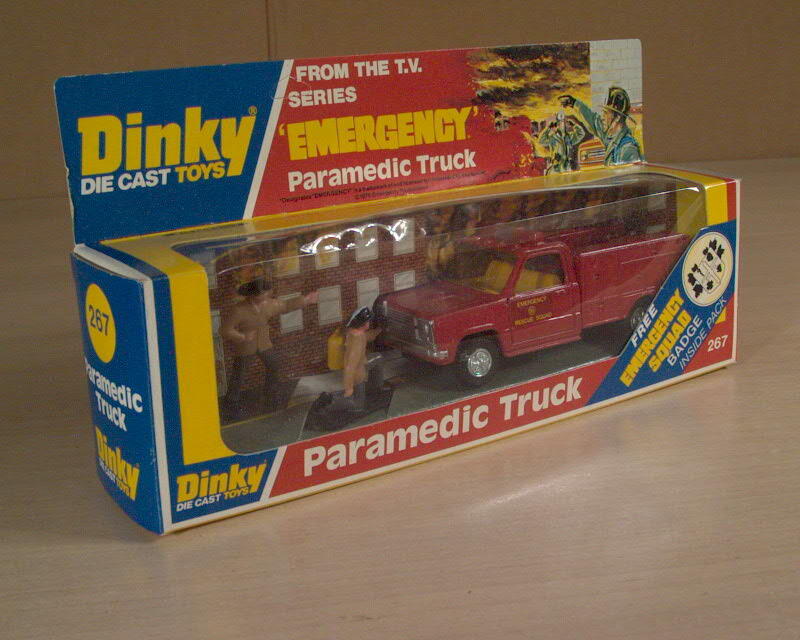 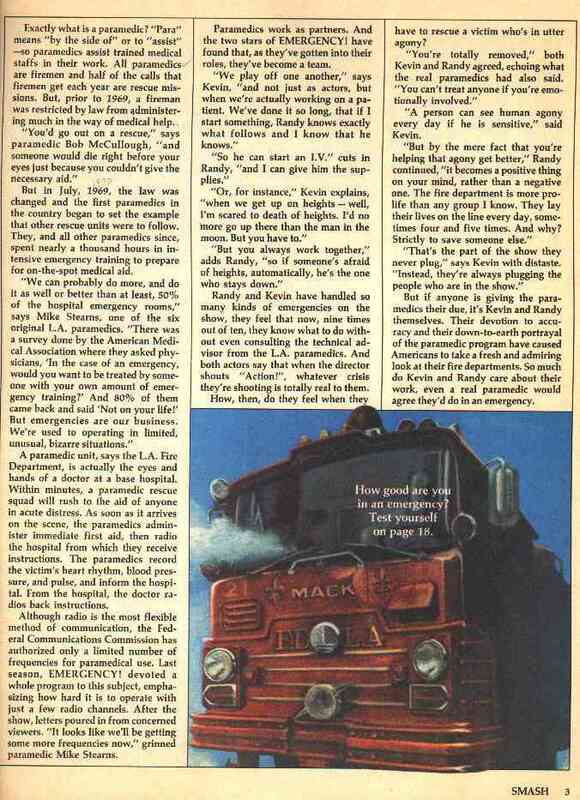 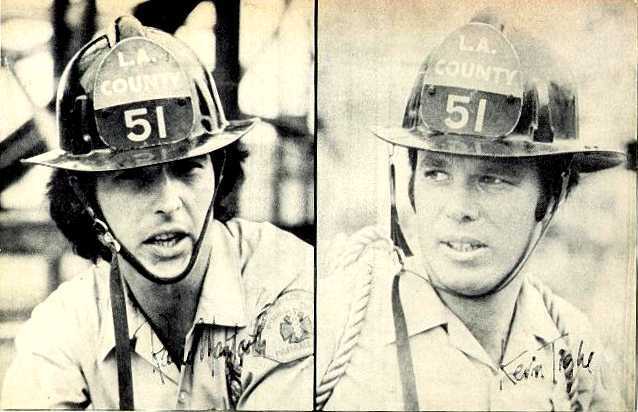 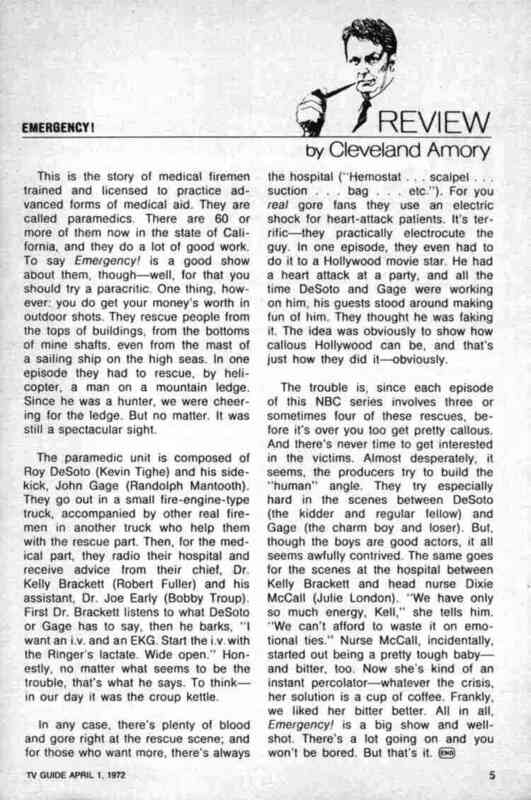 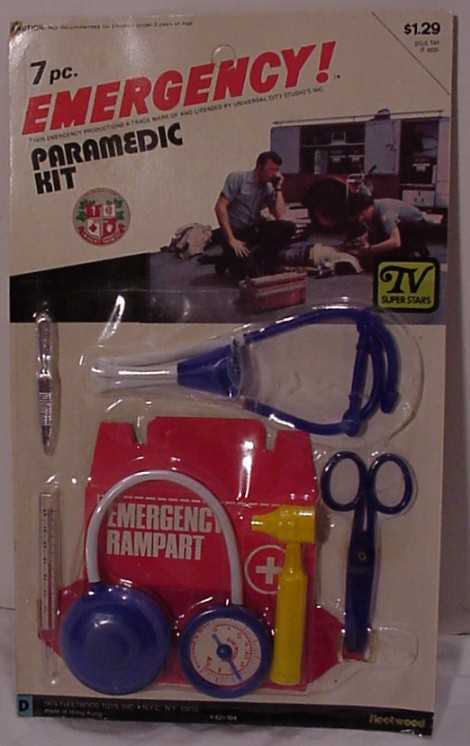 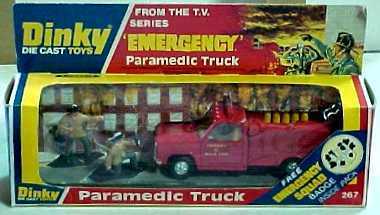 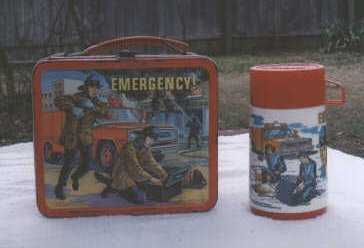 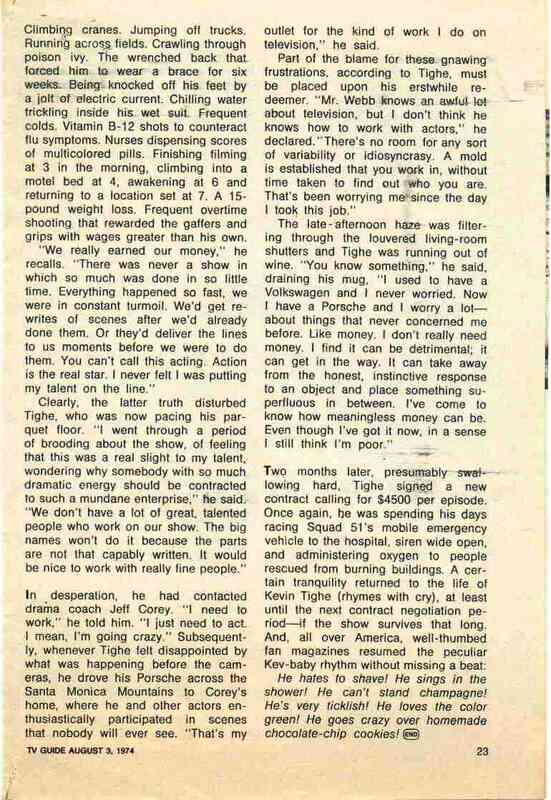 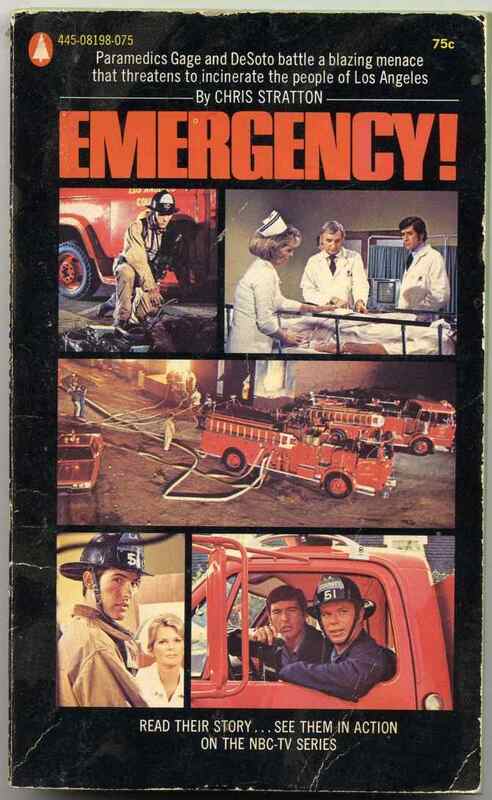 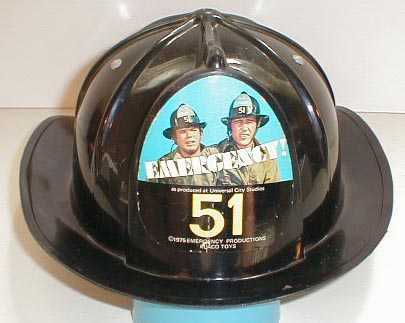 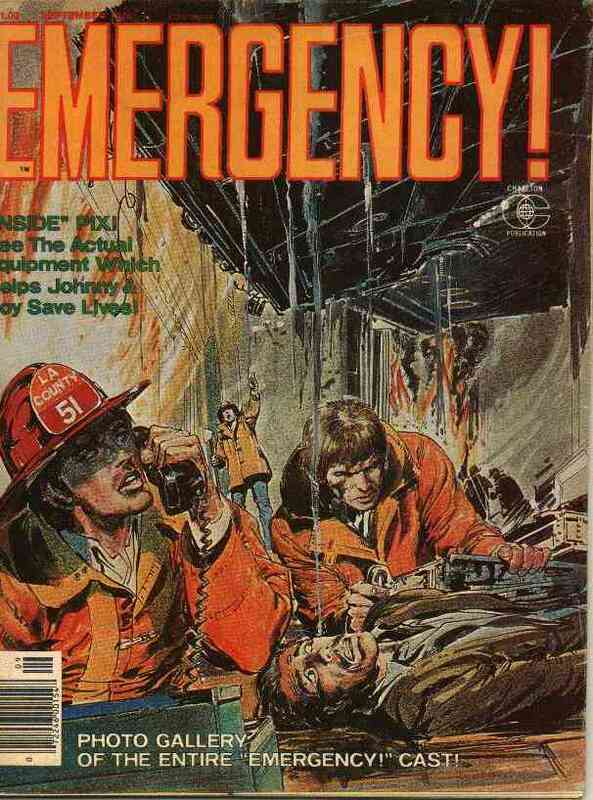 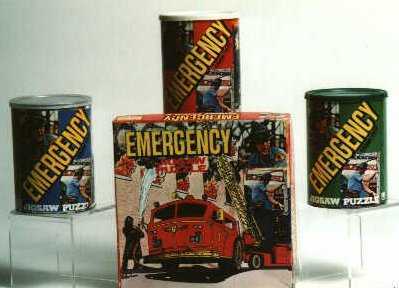 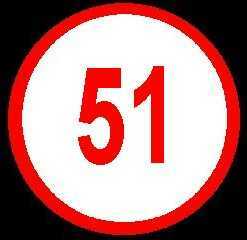 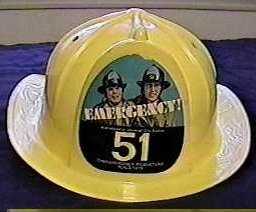 Collectibles and other information from the cartoon series "Emergency+4" can be found here.